Journey to an age of adventure and exploration, invention and artistic achievement, and amazing changes in everyday life -- the Renaissance! On assignment to create an exciting video series about the Renaissance, an enthusiastic producer travels across Europe in search of the real story on the people, places and thinking behind Renaissance developments and discoveries. 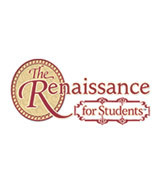 Complete with fascinating facts, historical reenactments and dramatic footage, The Renaissance for Students explores a time when great thinkers challenged established beliefs and principles -- sparking a rebirth of the ideas of ancient Greece and Rome, and an interest in achieving greatness in everything from art to mathematics to travel. Learn how these achievements not only transformed the lives of people during the Renaissance, but also continue to influence our world today. Teacher's Guides are included for several titles, and they are available online for all titles.